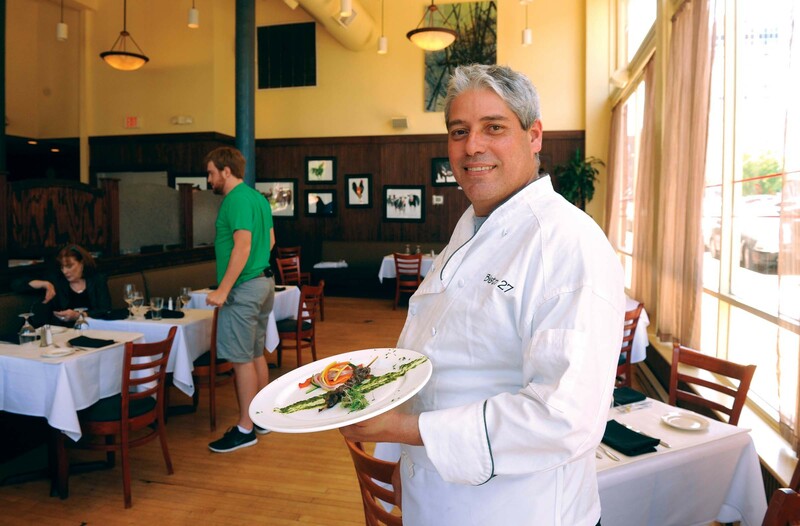 At Bistro 27, the customers are the ones who get treated. For his birthday, chef Carlos Silva makes some favorite Brazilian dishes — chicken hearts on skewers, braised chicken hearts with potatoes and cheese rolls — to celebrate, and he spends his birthday serving them up. 27 W. Broad St. 790-0086.